Paving circles and features can transform any outside space, adding a wonderful decorative element to complement any style of property. Whether used as a standalone feature or incorporated into a patio, driveway or path, paving circles can create a stunning effect. From simple, plain, natural stone to more dramatic and coloured designs, paving circles and features lend themselves to a world of creative possibilities. 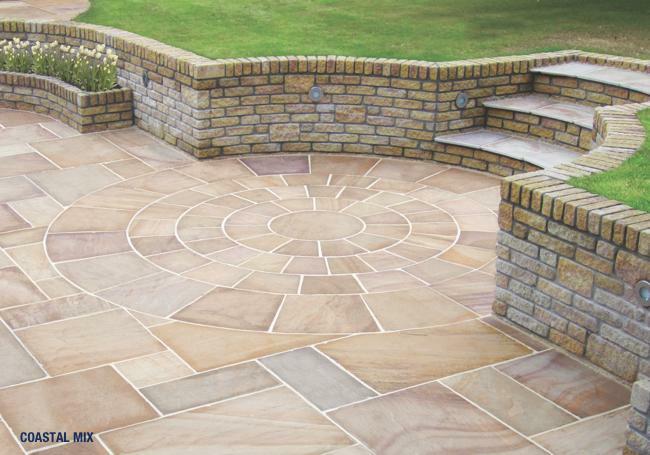 At AWBS we have a fantastic range of decorative paving slabs, perfect for both contemporary and traditional settings, and to suit all tastes and budgets. You’ll be spoilt for choice when it comes to injecting personality into your outside areas, and don’t forget our price-match pledge and free local delivery from our Oxford, Yarnton and Swindon branches. 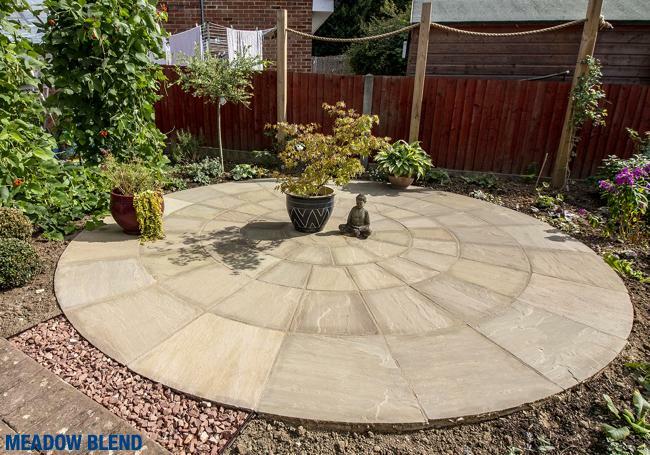 From a statement centrepiece in a garden, to an aesthetically pleasing addition to an area of relaxation, paving circles and features are the ideal way to brighten up your garden patio or driveway. Our paving circles come in an array of gorgeous styles and colours to help enhance any outside space, and multiple diameters and combinations of circle segments offer endless scope for designs. Our Desert Sand circle makes a fantastic decorative addition to a paving project, in mixed tones of buff, yellow and light grey. To create a stylish centrepiece to your patio area, our Meadow Blend/Coastal mix paving circles kit is simple to lay into your existing patio, as is the stunning Pavestone slate circle, with wonderful midnight and rusty hues. For a striking decorative paving feature, the Pavestone Lutyens circle is made from natural slate and features an eye-catching unique pattern, while the Stonemarket Vintage Manor Compass is meticulously cut from three colours of vintage stone, with an intricate brass inlay to mark north. To view our fabulous range of decorative paving, please visit one of our branches where our friendly and knowledgeable staff members are always on hand to help.